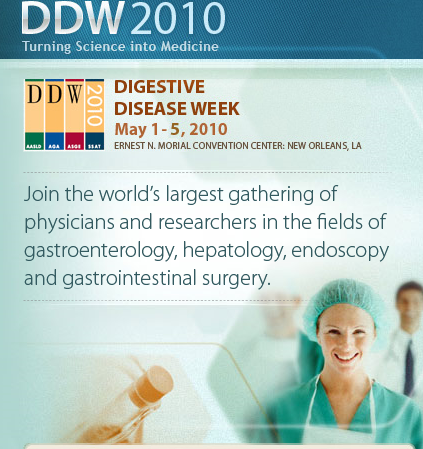 Mr. Richard Berk will be attending the DDW 2010 in New Orleans, LA on behalf of the station to update his ongoing report on “gastrointestinal interaction at altitude”. All story line input is due NO LATER than Monday March 29, 2010 to Richard. The Show dates are May 1 thought 5.